I've managed to obtain a few polka dot pieces in my thrifting shenanigans. 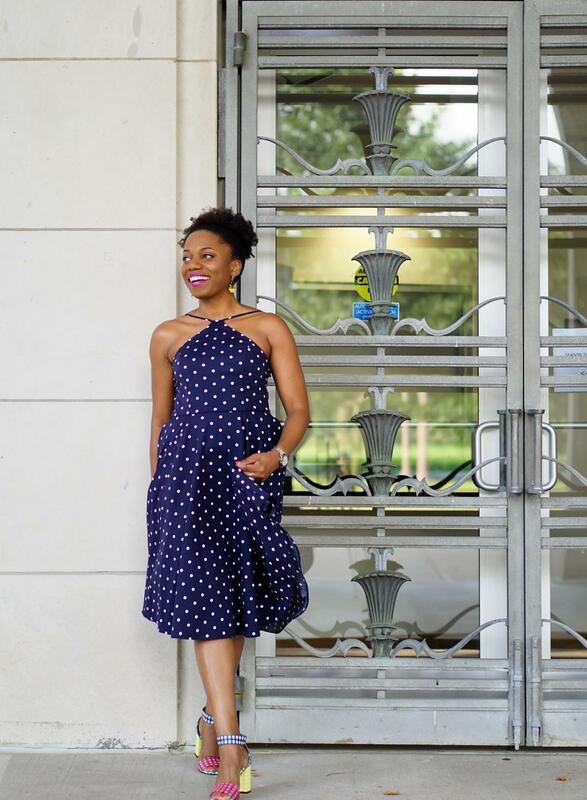 I like bold prints and dotted clothes are just plain fun to wear. I must admit that I've been challenged by them in the past then I remember to follow the dots. When in doubt, I can always let them be my guide for color pairing options. I am so in love with this green dress. I thought the polka dots would limit my shoe choice to black but I found pink to be a much more suitable option. Lows to Luxe found the perfect metallics as well to pair with a white tee and tea length polk dotted skirt. Maya of Classic. City. Chic. 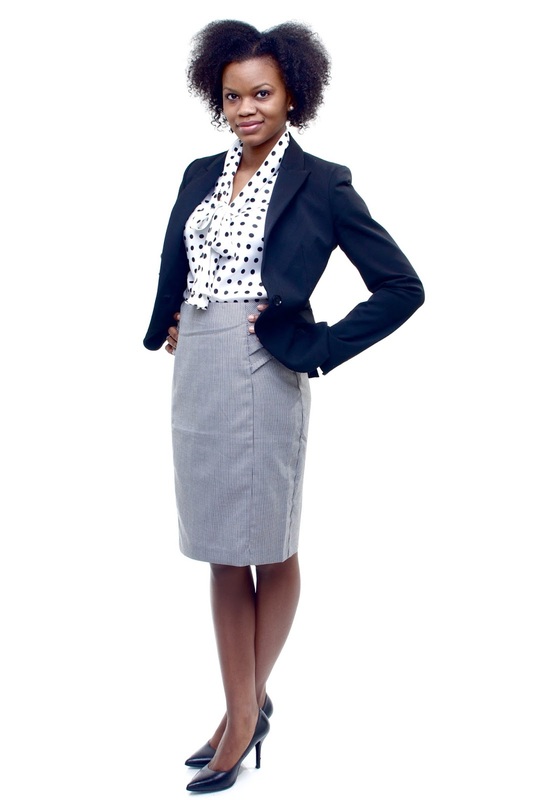 mixed polka dots with houndstooth and brought it all together with a solid colored blazer for a fabulous work chic outfit. 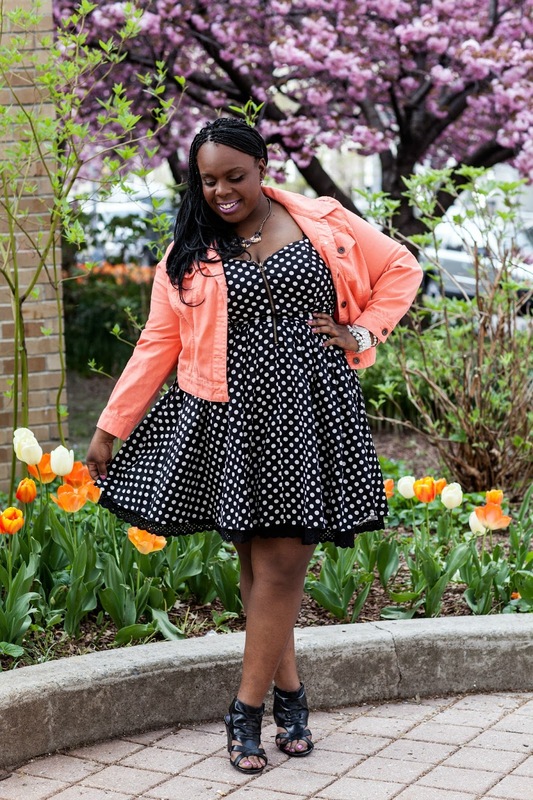 Plus Size Princess added a pop of coral to a polka dot dress for a cute and flirty look. 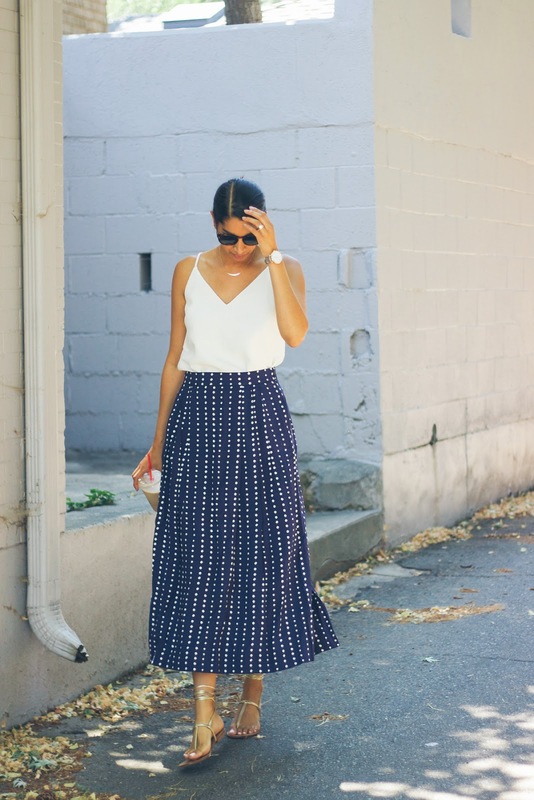 Economy of Style mixed polka dots with colorful shades of gingham in this fun pulled together ensemble. 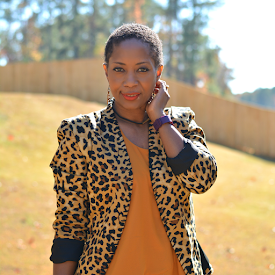 The Fancy Pants Report effortlessly mixed pink polk dot pants with a striped shirt and leopard print! 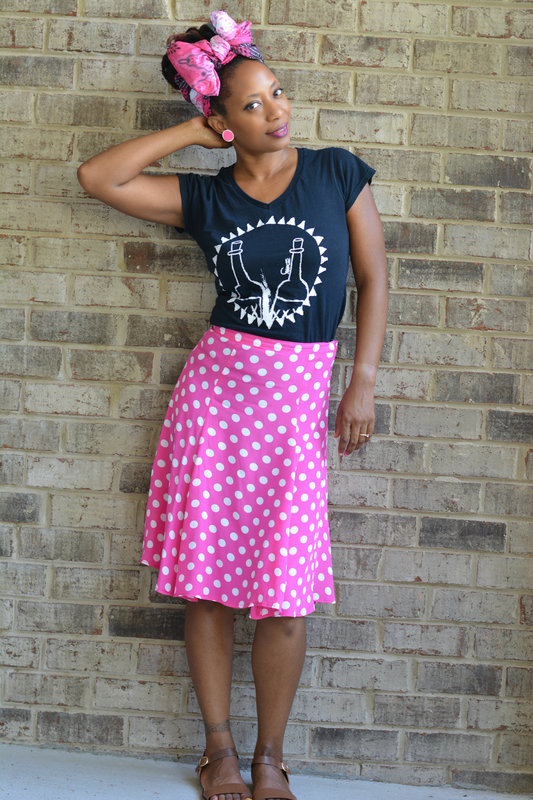 My thrifted polka dot skirt is giving Minnie Mouse and my graphic tee is giving tequila bottles. Wear them together for a bit of whimsy. 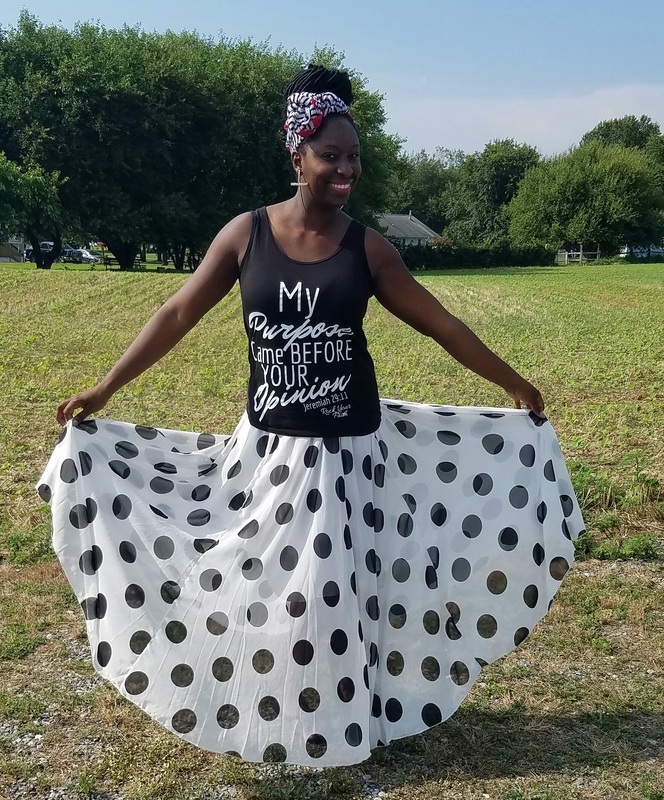 Tamika Hall kept her maxi skirt polkas balanced with a matching black and white statement tee. Fab Ellis added a touch of polka dot with a clutch that perfectly complimented her striped pencil skirt. 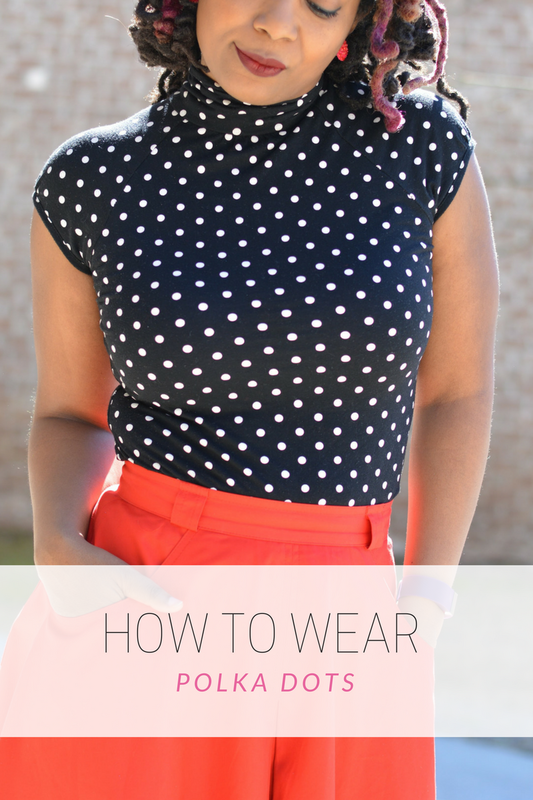 What do you wear with polka dots?